she found me cool and shady. her breath grew slow and steady. old tears stood at the ready. on ruddy roots and timber. like leaves turn in September. my rigid frame grew limber. A Day Made To Remember. Beautiful! I so love Willow Trees! They appear in several of my poems as well! Sorry to hear that, soul bro. I pray thee well, and quickly. Thank you for visiting in spite of the pain. Take care, Em. 🙂 Thank you kindly, Annette! Thank you bunches, DiAnne! 🙂 I am partial to this one, too. Lovely, lovely words and refreshing to a weary soul! You’re welcome, Amy. Thank you! 🙂 Happy to know you enjoyed this. In truth, it is a response I made to a Willow tree poem by Caroline. rhythm and rhymes and deeply felt sentiments. 🙂 Thank you kindly, Jean! Glad to be of service in this manner. Hi there, Umair! 🙂 Thank you very much! Enjoyed this very much. I love willows. Sharing this gem and pearling it. 🙂 Thank you, Uncle Buck! Glad you liked! Hello, Rasma! I kinda think Willows are a fan favorite, too. UT—Love Sir Willow and the green eyed lady. Thank you. You are welcome, George. 🙂 Glad you liked. Thank you! I read this several times, and finally aloud. Then I was really wondering about its power and melody. Really, really well written. One of my favorite trees!!! Thank you! 🙂 Thank you bunches, Iris! Honored to make the list, I am, soul man! Thank ya, bruv! Thank you truly, Tucker! 🙂 I’m so glad you liked! Green being a colour of healing, or, since duality is endemic to this planet it could be that the green eyed lady is (was)seeing everything under the influence of emotions which discolor or distort? Whatever, yet another fine piece of work (or perhaps art would be a more correct description) from the pen (keyboard) of UT. Thank you for the fine compliment, old friend! 🙂 Glad you liked. For sure, John. It was I who was under the influence of green energies. until this young Lady came along and “made” him turn to weeping. Sir Willow simply wilted under the stress of sympathy’s pangs. Still, he likes his new dew, and it will soon turn yellow, thanks to blue. What a lovely poem…I am somewhat envious of the green eyed lady…to be able to release it all under your protective canopy…oh…the stuff dreams are made of!! I love this poem…I really do. I’d not thought of you in this weeping category before…but it works! I just last week took photos of a very similar tree…I will keep it for when the inspiration strikes me….but if I see a an email for you I may just send a copy to you! Thank you truly, Lorrie! 🙂 I’m so glad you found this one delightful. my near and dear friend, Caroline. Thank you, WG! Glad to hear all is well with you on holiday. Love the honorary comparison. ❤ Hugz backatcha, my friend! A delightful poem, thank you. You’re welcome. 🙂 Thank you! Glad you liked. The weeping willow and the weeping lady is a very neat concept. Beautiful. 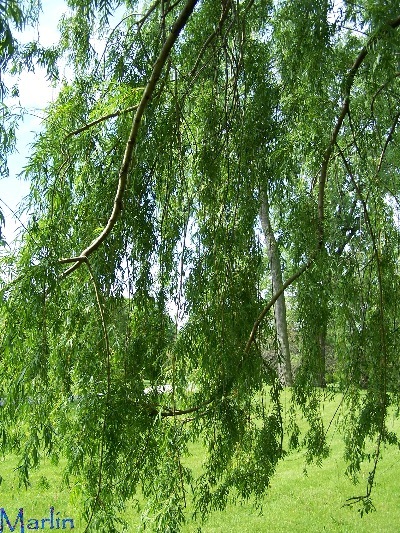 What about a Tortured Willow? I’ll send a pic if you need. something to pine about this coming Halloween. 🙂 Thank you triple-ee, Trini! Hi there! 🙂 Glad you liked this, CC! ❤ Thank you! My dear green-eyed lady, I have you to thank for this inspired piece. your southern hospitality in allowing me to scribble on your walls. Easy now, my limber is tender from swaying all night in the breeze. Ah, yes. So nice! Feels like sunshine on my life. 🙂 Thank you, bright lady! The seasons that are resounding sing inside and out. Sweet? Damn right! 😉 Ripe? Mostly. Just a little green behind the ears. Thank you so much! 🙂 Glad you liked this one. Beautiful as always…. thank you. Loved this one! Struck a cord within me . Great post, I really enjoyed the words and images. Thank you, Karen! 🙂 Glad you enjoyed this. This is such a sweet ensemble about love. Beautiful written Keith!! Have A Great Day!!! Thank you kindly, Alisha! 🙂 I thought you’d get a kick out of this one. It is a beautiful day here in Lincoln, Nebraska! ❤ You have a good night! Thank you, Lucy! 🙂 Glad you liked this. I’m so glad you felt something while reading this one. That means I did my job. Hi Uncle Tree… This is so marvelous… I loved it and particularly the last stanza. Beautiful verse and photos! Thank you, Amalia dear! 🙂 You are unforgettable! What a lovely poem. I don’t read poetry in general but this was delightful. Many thanks for visiting my blog. I appreciate it. Thank you very much, Connie! 🙂 And you’re welcome. Happy Friday! Beautiful. As you know Mudpile wood loves trees but Maria has a willow in her garden and finds mowing around it to be a troublesome affair especially as two dogs hide bones and balls in the cave like room it creates. I’m so glad you liked this. 🙂 Thank you kindly! Caves rock! Keith, this is lovely, I love this feeling of fusion between you and the Willow Tree, as right you are, they have a “weeping habit” (botanists say). I love how you used the name of the tree to make your poem come so alive! “Yeah! Maria likes!” 🙂 Thank you! I appreciate your thoughtful comments. As a writer of fairy tales, sometimes, I do attempt to convey the impossible. Sir Willow “became” the first of his kind after this encounter with a lady. Previously, he was a stand-up guy; tall, sturdy, and quite upright. like the communion of the Saints. I’ve never been great at deciphering poetry, but for me this poem flowed with such grace. You allude so slyly the strength and reassurance the woman found in the opposite of limber. You took her old tears and sucked them up with your roots like they were nothing. You knew the season would change, the storms would pass, and though you never said it, you stood tall and strong, waiting. Once the thunder quieted she sung, and you listened and limbered. Two humbled souls as One. Definitely a day to remember. Hi, Thanks for visiting my blog and liking my post. I love this poem you got here, started singing and getting a melody in my head. I am a fan of poetry but been slacking on it. Now, motivated to get back to writing and reading others. Have a lovely day and looking forward to reading more. fine interpretation of my lyrical poetry. You are “spot on” in your critique. Thank you, Dawna! 🙂 Glad you liked this. Nice to meet you. Hello there, Donna! Nice to meet you. Understandably, you caught my riff, maryrose. I like the lady singing and Sir Willow responds in appreciation. Thank you, Edgar! 🙂 Glad you liked this. Absolutely beautiful tree and lovely words to match! Thank you for both! 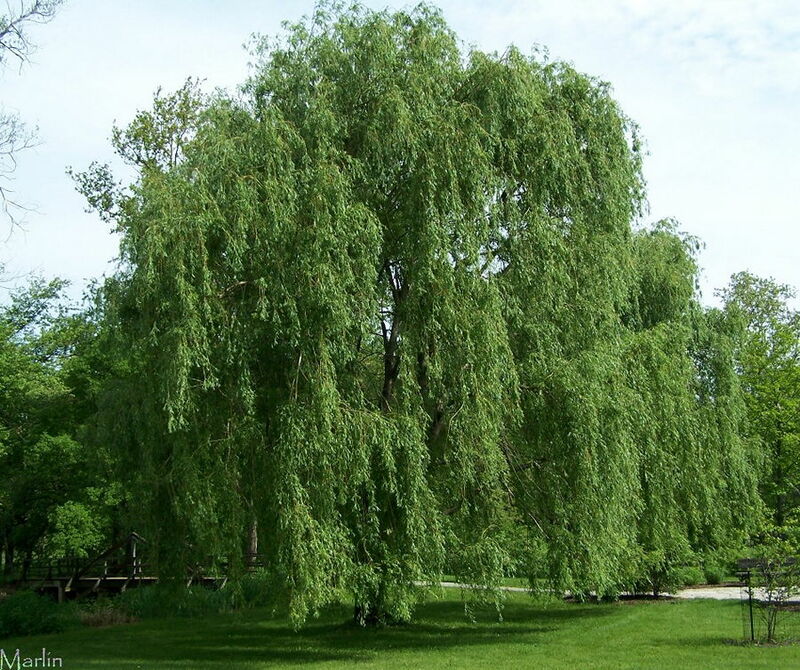 It sounds like a really truly old poem, and so perfect for the willow! I thought you meant the tree pictured above, Caro. “whoever she is” ? Why, she is none other than you. Thank you, Inese! Sorry, no, no looney tune to match the runes. Hello, Poetess! Glad you liked this. 🙂 Thanks a bunch! Nice to meet you! Me too…Mr. Willow…I’ll keep an eye on you…. Your words unlocked feelings I wasn’t aware were there. Both painful and sweet. Thank you. That is the perfect compliment to a man who fancies himself a poet. My childhood home looked onto a creek and bush land full of Willow trees, beautiful. Thank you for the poem. You’re welcome, Wendy. 🙂 Thank you kindly for visiting! to those I follow and anyone else who posts about trees, waterfalls, etc. my ego, which hopes to get “on board” with the search engines. It fascinated me that while I was away in Oregon, not posting, my numbers held. I could keep an eye on things, but had no way to upload photos so I didn’t try to post. Then I came home right to a community event for which I was responsible, and still had virtually no time. Didn’t seem to have much effect at all on my blog traffic, which was a real eye-opener 😉 I’ve bought into WordPress’s philosophy of “a post a day” for a while now. I get your quest for quality, and watching for useful responses, rather than quantity. and that’ll probably take 10 years – give or take a few. almond butter and jelly sandwich. Apple butter is also a fav. My favorite verses are those from the third stanza. Wise Words… Also your green imaginary is bucolic and refreshing! 🙂 Thank you, Amalia! Glad you like my poem and the look. Thank you, Gillian! 🙂 Glad you liked this. Oops! I posted my comment as anonymous! Sorry about that. We just love Uncle Tree! Thank you, NJ! 🙂 Glad you enjoyed! 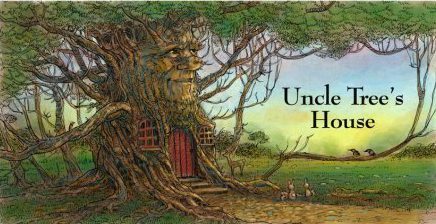 Such wonderful images for autumn, Uncle Tree! Thank you, Christy! 🙂 Glad you liked! That’s one of the most gorgeous things I’ve read. I wish I could make something like that! Thank you, Kailani! 🙂 Nice to meet you! Thank you J.L.! 🙂 Glad you liked! Wonderful, beautiful, and inspiring. Thank you. You’re welcome, Ann! My pleasure. 🙂 Thank you for sweet compliment! 🙂 Thank you, sir! Glad you liked. Thanks for the “like” on my blog! I am so impressed with poets. I am not good at poetry. I write more of an inspirational prose style. But I do love trees! It takes a lot of creativity to write poetry so beautifully. Great work! Also, wanted to say thanks for stopping by my site and liking the post about me being featured on InsppireMeToday.com. My essay is on the site today so please go read it, and then share it with your followers so that I can reach the audience that I dream of reaching. I hope to see you soon on my blog again. Thank you for sharing this peaceful poem and beautiful accompanying photographs. I’ll visit your site again. Thank you, Mary! 🙂 Nice to meet you! what a beautiful journey you took me 🙂 thank you! Thank you so much, Maria! 🙂 I am glad you liked this! always more than welcome to have a sit and stay a bit. Uncle Tree is blushing the reds and yellows and oranges of Fall. where he can forever be found 24/7, in case he is needed. 😉 Huggerz! Now, if you want to throw down and rassle…he-he. Huggerz!